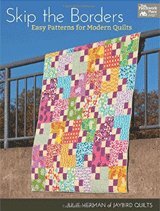 I need to make my Flying Geese to finish 6 1/2 by 9 1/2. I wanted to use Ricky Tims one seam version to make several geese with the geese each being a different color. Could someone please help me figure out the cutting dimensions for my blocks? 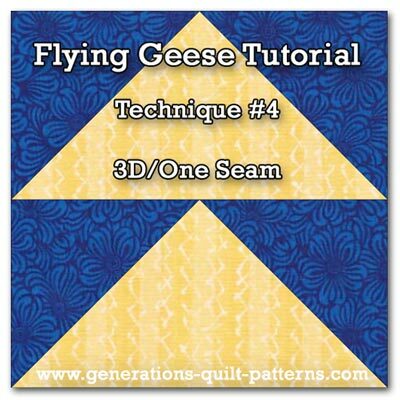 There is a tutorial on this site for making one seam 3-dimensional Flying Geese. It includes both the formula to compute the sizes for the cut patches and also a a cutting chart to download and keep on your cutting table for future reference. For other methods to make Flying Geese, click here. (There are two tutorials there that I still need to finish...#1 & #6...neither is underlined.) 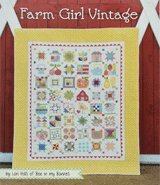 On each of the pages linked from that particular page, there are also free cutting charts to download or Flying Geese paper piecing patterns to download. All for your personal use. All of the techniques included on this site are for Flying Geese that are half as tall as they are wide (a 1 to 2 ratio). You stated that yours needs to be 6-1/2 x 9-1/2". 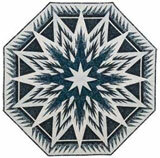 If this was a traditional Flying Geese it would be 6-1/2" x 13" or 4-1/4" x 9-1/2". 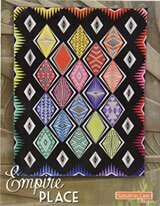 The one seam flying geese method won't work for units with un-traditional ratios. That's because you now need 1/2 rectangles to complete that 'sky' portion of the unit. 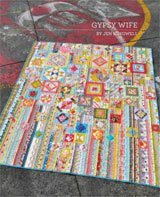 If you can confirm the size is truly 6-1/2"x9-1/2" and that it is the finished size...that is, the size of the unit AFTER it is sewn into the quilt, I would be happy to draft a paper pieced block for it. 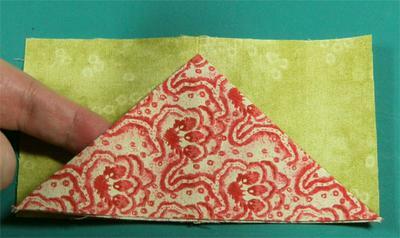 You would also be able to create templates from the paper piecing pattern if you choose.